There are no lights on the pier where I took this photo of the San Diego skyline, so I thought the barking in the dark was dogs guarding the fishing boats. After 15 seconds of exposure, the LCD display revealed the the culprits - sea lions down on the slips below. 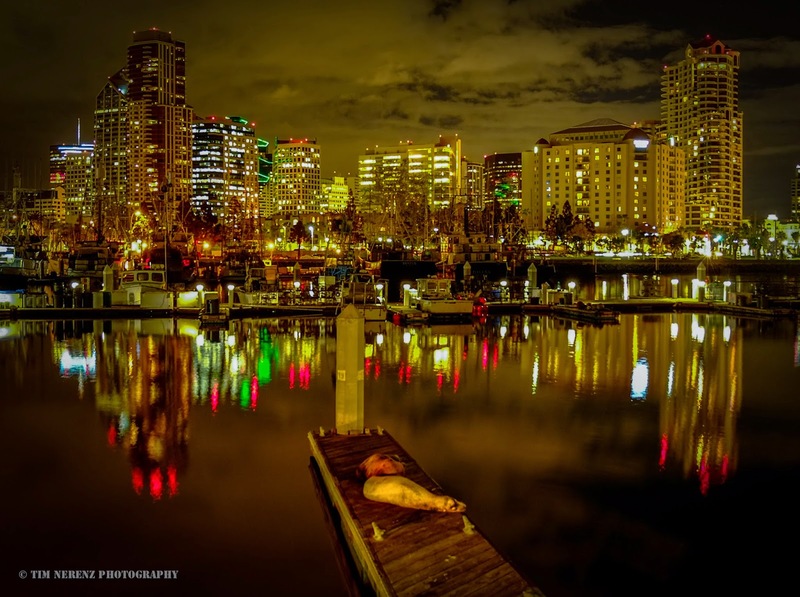 Hearing the sea lion calls in the dark of night would scare the heck out of me. Glad you were able to get a photo of them.